This month we sit down with photographer Gaurav Bose, based out of India, and ask a few questions about his craft and passion. GB: Thank you for having me, Its a pleasure! 7H: How’s life treating you? 7H: Tell me a little about you. 7H: If you could live anywhere on this awesome planet, where would you build your dream home? GB: Probably, Europe, Italy to be precise. It has a healthy balance of everything. 7H: What is your current state of mind before we continue with the interview? 7H: What sort of photography do you specialize in? GB: I do shoot everything from weddings to real estate but I can safely say that I do specialize in fashion and portrait photography. 7H: What was your career path? How did you get from being an aspiring photographer to actually doing what you do for a living? Or is it something you do on the side? GB: It started off as something I would do on the side and gradually transitioned in to a full time thing. 7H: How long have you been a photographer? 7H: How would you describe your style? GB: I really don’t know…edgy, high contrast, well produced. what do you think? 7H: What’s in your camera bag? What type of camera do you shoot with? GB: My camera, my 2 lens 24-70mm 2.8 and 50mm 1.4, Godox AD600 strobe, Godox Flash and a trigger to work with both my strobe and flash, Memory cards and colour gels. I use a Nikon D800 as my workhorse. 7H: What is your favorite photography accessory, other than your camera? GB: It definitely has to be the Godox AD600 Strobe. Its a powerful 600W studio strobe that runs on a lithium Iron battery making it perfect for shooting outdoors and on location as well. 7H: If you had to choose one lens which one would it be and why? GB: I think the 24-70 2.8 is a very versatile lens. I actually find myself shooting with the 24-70 more often then I like to just be-cause of the wide focal range that it covers. 7H: What lighting equipment do you take on a shoot? GB: Most of my work is generally one light so I carry my strobe, a light stand and a parabolic umbrella. I always have a flash unit with me as backup or as a second light in certain situations if necessary. 7H: Can you describe how and when you use flash, video light, or reflectors and natural light during a shoot? GB: I use strobes on 95% of all my shoots. I find it more convenient and also very consistent. When I started shooting most times I wouldn’t have anyone around to hold my reflectors for me and to assist me on the shoots so I started using strobes to get results that I was looking for. It was much easier to setup the strobe on a lightstand as compared to finding the best possible light and then having someone hold your reflectors for you the whole time. 7H: What editing software do you prefer to use? GB: I use Lightroom for all the raw file processing and Photoshop for the retouching work. 7H: What is your favorite computer/editing accessory, other than your computer? 7H: How important is Photoshoping your final images? GB: Retouching is a huge part of what I do. Retouching is all about presentation. One could have the greatest concept in the world but if its not presented well, it might fail to serve its purpose. Good retouching is the difference between a good picture to a great picture. 7H: Are you a Mac or Pc lover? 7H: Do you plan on buying any new equipment and if so what do you have your eyes set on? GB: Ohh…there’s always equipment that I have my eyes on. Right now, its the Palette system, I am really looking forward to getting that. Its going to make retouching so much more fun. 7H: Can you briefly describe for the readers your photographic workflow? GB: It generally depends on who the client is and what is it that needs to be emphasized or brought attention to. For editorial work, It starts with a mood board. The mood board is a few inspiration pictures to gives us a direction to go in. I then get in touch with my team to see what creative dynamic each member of the team can add towards the concept. Once we have a solid idea, we bring in the model in the mix. After the shoot, I go through all the pictures in Lightroom and then proceed to retouch the best picks from the set. 7H: How do you feel about cropping an image? GB: I mostly crop all my pictures. If you have great resolution on your camera sensor then cropping is never an issue. 7H: What gives you ideas and inspires you to create such great imagery? GB: I am constantly looking at other photographers, models, makeup artists and stylists. There’s just so much incredible work out there to see and be inspired by. Thanks to our social media inspiration is only a click away. GB: There are no rules. 7H: How do you get paid to do what you want to do with your photography? Is fashion photography a profitable gig, or is it something you love doing? GB: I don’t think that shooting fashion is profitable gig, but, being something that I love to do makes it worth the troubles. I do shoot weddings, corporate events, head-shot, real estate amongst other things to keep the ball rolling. 7H: What motivates you to continue taking pictures economic-cally, politically, intellectually or emotionally? GB: What really motivates me is the feeling that I am running out of time and there is so much that I have to achieve. 7H: Every Photographer develops their own shooting strategy in their own unique way, be that interning, apprenticing, assisting, graduate school, on the job training, etc. How do you get the person, place or thing that is in front of your lens onto your memory card in just the way you want it? GB: I have never had any mentoring from any other photographer, I didn’t start off working as an assistant or in a photo studio either. I learned everything by trial and error. I spent huge amount of time in understanding how my gear works and what is it capable of doing. Everything becomes much easier to control once you understand the nature of the beast. 7H: Photography has a long and fascinating history. Most photographers happily admit which of their predecessors influenced them and their work. How about you…Which photographers influenced you, and how did they influence your thinking, photography, and career path? GB: There’s a lot of different photographers that I am inspired by. To name a few Ben Von Wong, Lindsey Adler, Ms Aneila, Brooke Shaden, Dixie Dixion, Joe McNally. I can really relate with Ben Von Wong as he started with photography 4 years ago and has managed to become one of the most creative and commercially successful photographer. 7H: Different photographers have different end goals for their work. The most successful ones are those who can consistently get their work to say what it is they want, even if they cannot articulate what that is or how that happens. What is it exactly you want to say with your photographs, and how do you actually get your photographs to do that? GB: The end goal in my mind is for my subjects have an emotional connection with the camera which in turn translates to to everyone who looks at the picture. It could be any kind of emotion, anger, love, happiness, etc depending on what we are shooting for. 7H: What has been your most memorable assignment and why? GB: I had the opportunity of shooting a beautiful dress alongside a Ford Mustang Gt500. I am really fond of cars and motorcycles so that was a great day! 7H: Do you have an assistant? If so why? 7H: Where would be your dream destination assignment? 7H: What do you think of the photography industry at the moment and where do you see it in 5 years from now? GB: Its an extremely competitive Industry. With gear getting cheaper and the amount of learning material that’s available on the internet, its only going to get tougher. Its the survival of the fittest. 7H: Any websites or blogs you visit often? 7H: The first photographer that comes to your mind and why? GB: Ms Aniela. She is the perfect combination of fine art meets high fashion. 7H: Name one way you market your photography? GB: Resourceful photographer who performs under pressure. 7H: How important is an awesome website for your business? GB: Websites have kinda lost their effectiveness for a while now with Instagram and Facebook pages providing a better and a more accessible platforms to showcase ones work but I guess it always pays to have an awesome website and reinforces the fact the photographer is a professional. 7H: Is there anybody or anything you would love to photograph? 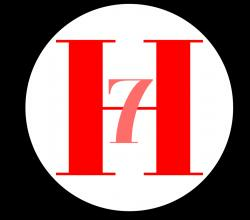 7H: What advice do you have for somebody who wants to pursue photography? GB: From my short time doing this as a profession, my advice would be to always keep in mind is that “in this industry nothing is given, everything is earned. Sometimes luck plays a factor and doors open up but for most times you just have to jam that foot in that goddamn door! 7H: Is there anything you would have done differently during your photographic career? GB: I just wish I had started off with photography when I was much younger, apart form that, there’s not really much that I regret. 7H: If you could be invisible for one day with your camera, what or who would you shoot? GB: Donald Trump. Enough said. 7H: What talent would you love to have most? 7H: Anything you’re still learning? GB: Everyday I am still learning. I constantly keep looking at lighting diagrams, different retouching techniques, learning how to deal with different work based situations. 7H: Something that is overrated? 7H: Something you’re saving up for? 7H: If you could have lunch with anyone, who would it be? 7H: The readers can find out more about you where? 7H: Thanks for taking the time out with us. GB: Thank you so much for the opportunity!